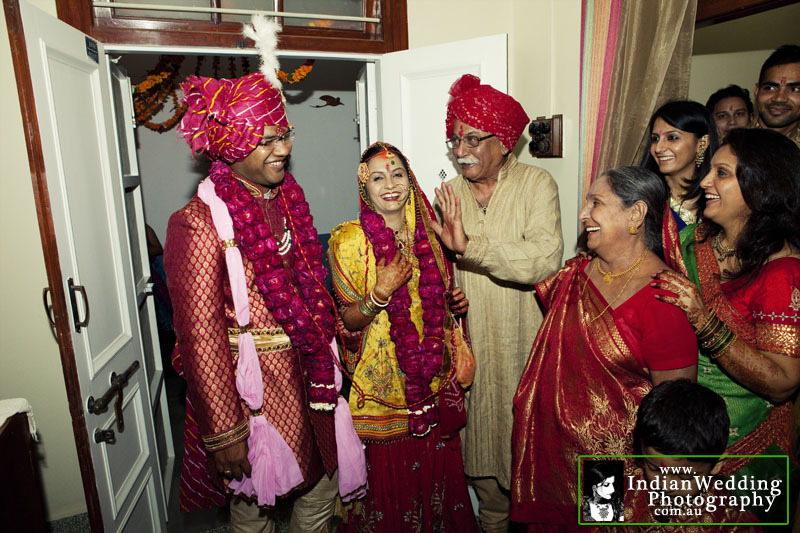 Vidaai(also called Bidai )which simply put is departure of the bride from her father's house) is a post wedding ceremony, which takes place after the wedding rituals are completed. 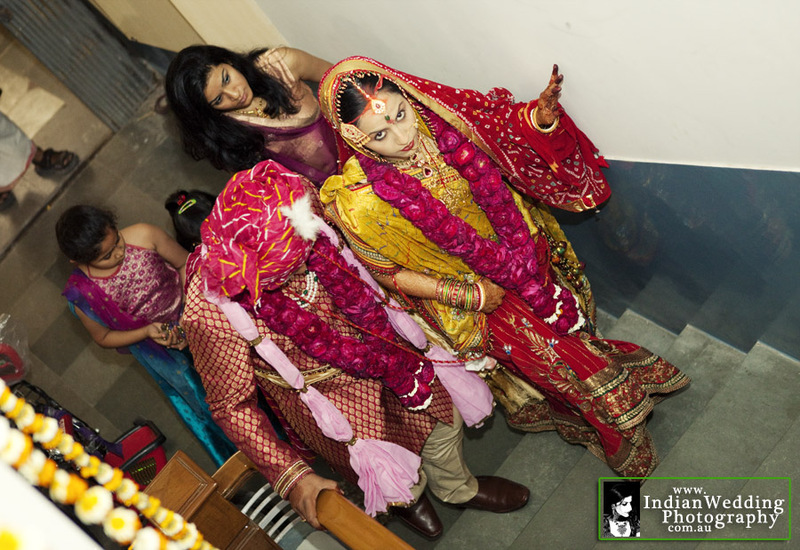 This means that after the seven pheras (going seven times around the fire) and kanyadaan ("giving away" of the bride to the groom) this is the major ritual that takes place. 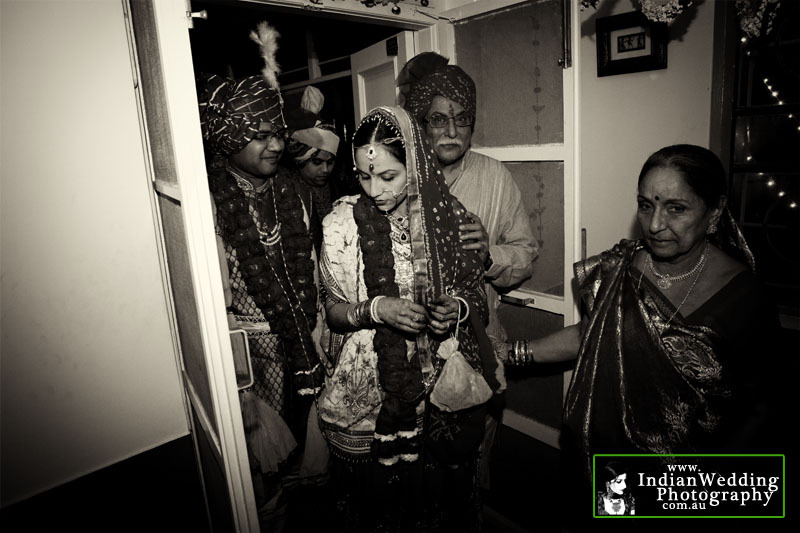 During the vidai ceremony the bride is accompanied by her parents, siblings, close relatives and friends, which lead her outside the doorstep of the house. Before crossing the doorstep, she throws back three handfuls of rice and coins over her head, into the house. 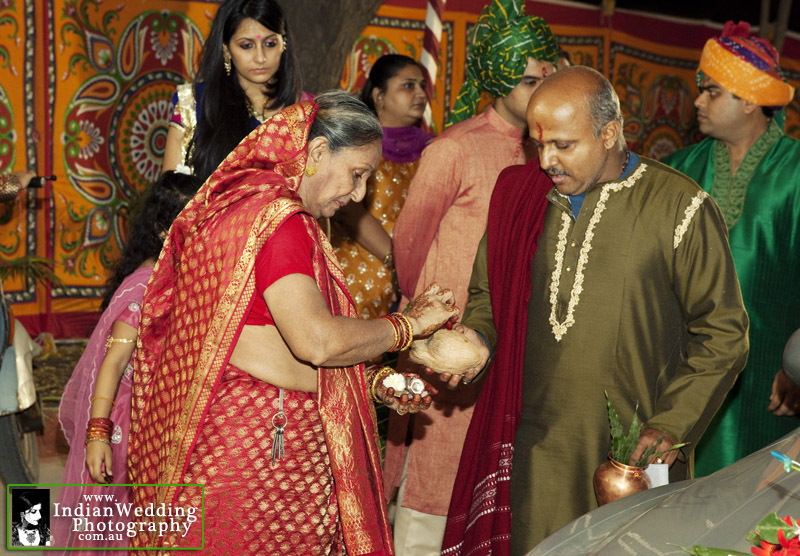 This symbolises that the bride is repaying her parents for all that they have given her so far. 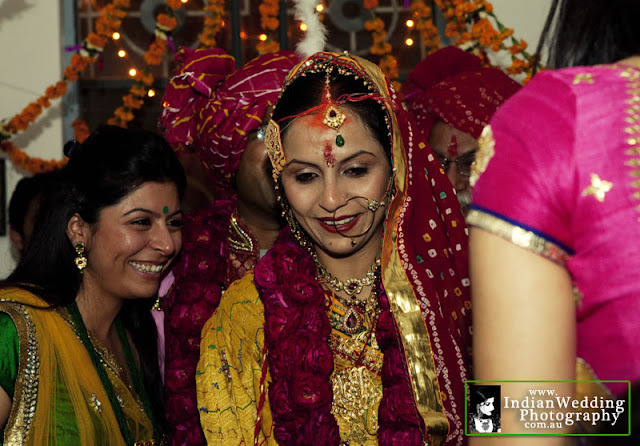 Moreover, in India girls are considered the manifestation of Goddess Lakshmi, the deity of wealth and prosperity. 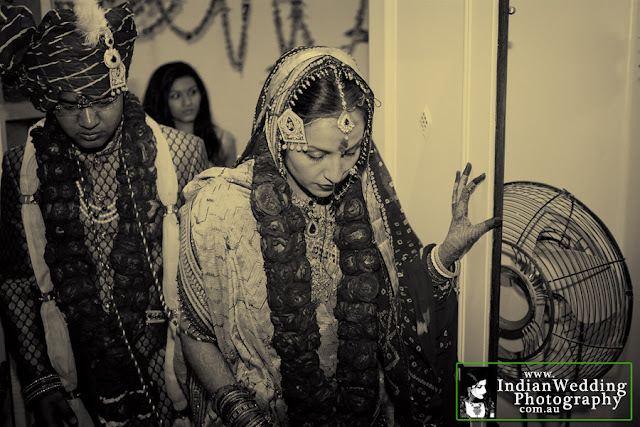 Thus, while leaving, the bride practices the ritual to keep wealth and prosperity intact in her home. This is the most emotional moment of the complete marriage ceremony as the bride's family and friends bids her a teary farewell. With this they also bless her for a happy married life. 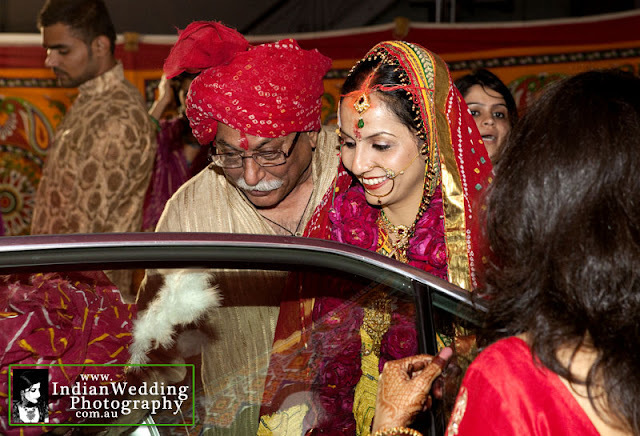 The father of the bride takes her to the car or the Doli and hands her to the groom. After this he requests him to care of her and to forgive her for any mistake, guiding her constantly through their marital journey. 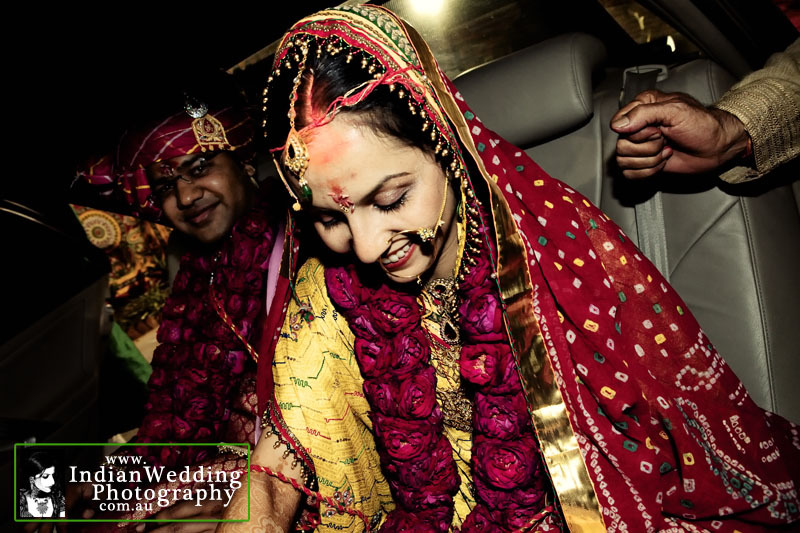 The occasion presents mixed feelings as everybody is happy for the bride as she is going to start her new life but at the same time tears well up to think that she no more belongs to them. The pain of missing her and the joy of marrying her overwhelms the heart of her parents. 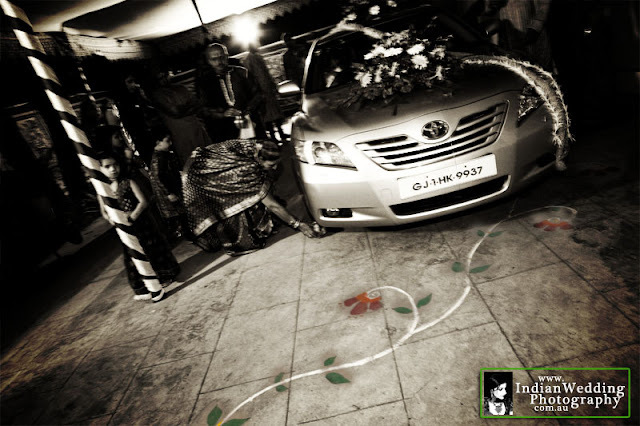 After this the brothers and cousins of the bride push the car, to help her leave and start her new life. Once the car starts, coins are also thrown to ward off any evil.